Visit Manly Beach and Clovelly Beach for some beach relaxation. 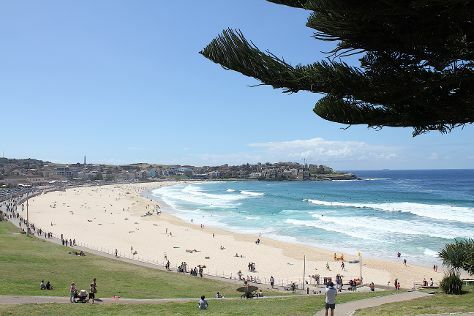 Step out of the city life by going to Bondi Beach and The Opera House to the Botanic Gardens Walk. Venture out of the city with trips to Wentworth Falls (in Katoomba), The National Pass (in Blue Mountains National Park) and Shelly Beach (in Manly). Spend the 21st (Thu) exploring nature at Sydney Harbour National Park. Spend the 28th (Thu) exploring nature at Kanangra-Boyd National Park. There's still lots to do: wander the streets of The Rocks, take a memorable tour with Tours, enjoy the sand and surf at Maroubra Beach Rocky Climb, and examine the collection at Australian National Maritime Museum. To see where to stay, other places to visit, reviews, and other tourist information, you can read our Sydney road trip planning website . If you are flying in from United States, the closest major airport is Sydney Kingsford Smith International Airport. In November, plan for daily highs up to 77°F, and evening lows to 62°F. Finish up your sightseeing early on the 30th (Sat) so you can travel back home.